San Diego California Home Inspector - Mold Inspection - Air Quality Testing - ERMI San Diego Home Inspector (619) 253-4149 , San Diego Home & Mold Inspection Service	| ERMI Report | proudly inspecting Chula Vista, National City, Point Loma, La Jolla, La Mesa, Encinitas, El Cajon. ERMI is the EPA Relative Moldiness Index – the combination of EPA research, powerful PCR technology, and a new method to screen homes for mold. Based on recently published data from EPA researchers and the 2006 HUD American Healthy Home Survey, the test has been developed as a tool to evaluate the potential risk of indoor mold growth and associated health effects. 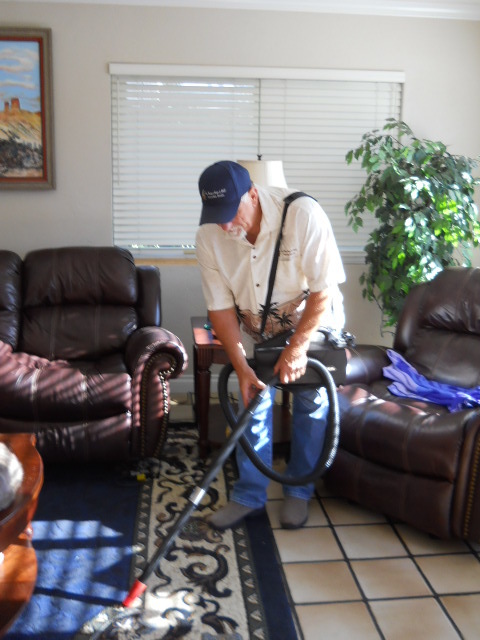 The test involves the analysis of a single sample of dust from a home. The sample is analyzed using mold-specific quantitative polymerase chain reaction (MSQPCR), a highly specific DNA-based method for quantifying mold species. A simple algorithm is used to calculate a ratio of water damage-related species to common indoor molds and the resulting score is called the EPA Relative Moldiness Index or ERMI©. The ERMI value is typically between -10 and 20. In initial studies by the EPA, the concentrations of different mold species in “moldy homes” (homes with visible mold growth or a history of water damage) and “reference homes” (homes with no visible mold) were compared. Based on those results, mold species were selected and grouped into those with higher concentrations in moldy homes (group1) and those with lower concentrations (group2). For the calculation of the ERMI, all concentrations are log-transformed and the sum of group 2 is subtracted from the sum of group 1. In addition to the simplicity of taking only one sample, the ERMI offers several advantages over traditional mold screening methods. Carpet dust acts as a reservoir for mold spores and is more representative of mold levels over time versus short term air samples. The use of MSQPCR for this test allows for increased precision as it is based on a biochemical assay using calibrated instrumentation. Further research is being conducted and published that will link the ERMI assessing health risks for susceptible individuals. This information along with the national database will be invaluable in providing an objective and standardized method for screening homes for mold. 1. When should I use the ERMI test? The ERMI test can be used for evaluating “moldiness” in any indoor environment. Molds are found in every home but not all molds are always present. The ERMI helps to make an assessment if a home is more or less likely to have “unhealthy” mold conditions. Especially residents sensitive to molds should consider using the ERMI to evaluate their indoor environment.Home buyers can use this tool to predict if their new home is likely to have a history of water damage. Your ERMI Report allows you to compare the amount and types of mold found in your home with a thousand other homes found on a national database. You can see how moldy your home is relative to other homes throughout the U.S. This method is ideal for real estate property transfer, especially when structural defects or inappropriate mold remediation procedures are suspected. calculation along with a category designation of low, moderate, or high.